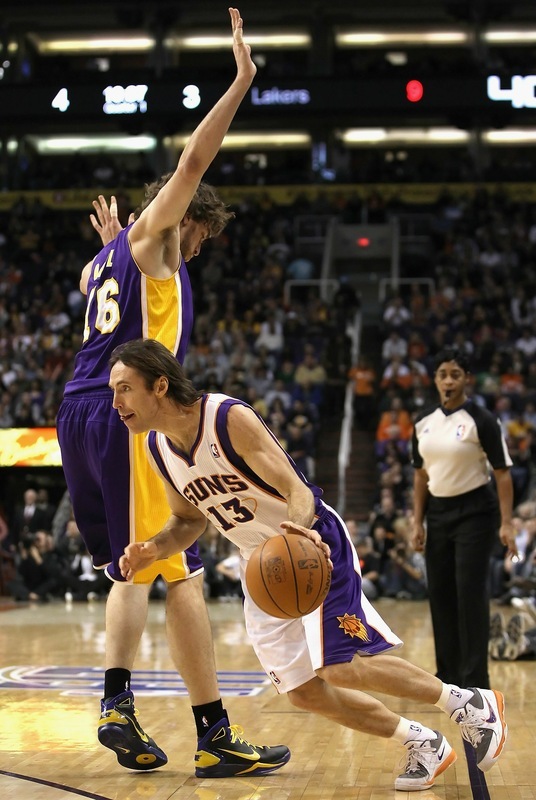 It seems that this NBA season is a time of transition for Steve Nash. In late 2010, he announced that he was divorcing from his wife. He endured another separation with Amar'e Stoudemire leaving for the Knicks. And now, the two-time most valuable player is parting ways with Nike Basketball, after fifteen years, to sign with a Chinese athletics brand called Luyou. Why the sudden change at mid-season? Leaving major brands for start-ups is a new trend among veteran NBA players. Baron Davis, a noted fashion plate and friend of Nash, was one of the first to sign with an Asian-based company. Davis has his own signature shoe and his Beardman logo literally makes him the face of Li-Ning. 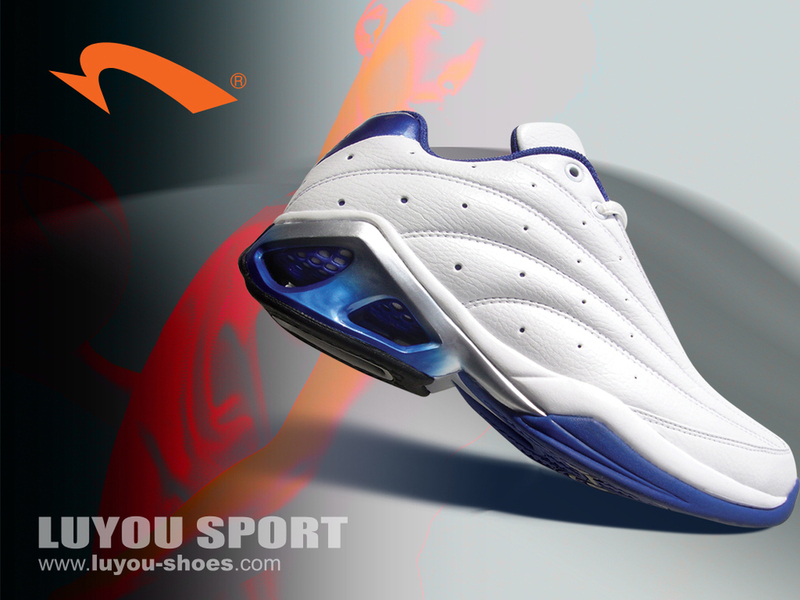 Shaquille O'Neal is also part of Li-Ning. Kevin Garnett left adidas to join ATNA and became their marquee player, and not just a member of adidas' basketball "brotherhood". Why the sudden trend? Are larger companies just not giving enough attention to the superstars? Is it about money? Or about growing their brand as players to ensure longevity once their playing days come to an end? Doing well the Asian market can translate to huge dollars in terms of jersey sales, revenue from signature shoes and marketability with other brands overseas that could continue into retirement. Players like Nash, Garnett and Shaq are so well-recognized in North America that it makes sense to to try to make headway in the world's largest economy. All three players signed with different upstart Chinese brands that are still based in China. Li-Ning opened a store in Portland, the hotbed of athletic gear, last year, but none of these brands have an NBA presence or endorsement roster like Nike, adidas or even Reebok. Why take the risk and leave Nike after so many years? The statement seems like public relations speak for "good luck but we really don't need you". Nike has the largest roster and arguably the best talent with Kobe and LeBron but also new young stars like Blake Griffin, whose meager endorsement contract will likely bring a large payday and extension for Blake and huge hype for another signature shoe next season for Nike Basketball. Nash is taking a risk, but he becomes the face of a brand instead of competing with so many dynamic players. It's curious that the Luyou, Li-Ning and ATNA logos all look reminiscent of the infamous Nike swoosh. At first glance, they look like something that you may find in a knockoff factory in China. Are the companies doing their own swoosh to be recognizable? Is it symbolism or just a copy cat tactic? Perhaps if their logo was something unique, like another Chinese basketball brand, Peak, they would stand out more in North American market. They run the risk of being grouped into the Nike knock off section on the sales floor. However, it does leave room for serious branding for the signature sneaker models, like with what Li-Ning did with Baron Davis. The production process of both the Asian brands and the American names like Nike are likely in the same or or neighbouring factories in China.The incredibly lucrative footwear counterfeit business has another brand to compete with and mimic. An interesting factor in this recent trend is that both Baron Davis and Steve Nash are represented by BDA Sports Management, an agency known for exposing their clients to a worldwide fan base, especially in China. BDA has a strong international roster of players including Yao Ming. It's also somewhat common for BDA athletes to endorse companies that are new in the basketball footwear market like Brandon Jennings, who is Under Armour's only NBA athlete and at the forefront of all their marketing campaigns. He also signed the contract while playing overseas in Rome, instead of going to college. Under Armour is an American brand that instead of being based in Portland or China, is based in Baltimore, Maryland and is well-known for their apparel, instead of a company like Luyou, which is unknown to North American NBA fans. Nash is Canadian with international roots and is known as the pride of the province of British Columbia. Vancouver has a significant Asian population so that could translate to marketing opportunities, events with the Chinese community and of course, more sales. What it will really come down for Nash is whether he can sell sneakers to both markets and if it performs well enough for Nash to play in. Luyou's brand slogan is "I think I can" so perhaps the mantra can pay off. Looking at their current offerings in China, they do not seem to have designed basketball sneakers in the past - most lifestyle and casual running shoes. At the announcement in Beijing, the brand had Nash call in videophone and announced that there would be both a charity playground project called "Nash's House" as well as a Nash logo competition. Luyou trotted out diverse models who wore new designs and preached a new vision and direction for the brand. While I do not fully trust the capabilities of Google translate, it seems that Luyou is re-launching in their own market with Nash as the centrepiece. It doesn't seem that there was any plans for worldwide expansion but perhaps that will come later this season or during the All-Star game in Los Angeles. Technically and aesthetically I'm curious to see what the brand comes up with as their other shoe designs look dated and uninspired. Would you wear Luyou shoes? Perhaps only time and availability in all markets will tell. For now, I'm sticking to my Nike's.